The prologue and first chapter of A Vintage Affair are sad and dreary and one gets an intuition that the rest is predictable, but DON'T let this stop you from reading because the novel picks up drastically and is not predictable after all! Wolff's A Vintage Affair is charming and so is Phoebe. With most heroines in chick-lit being haphazard, sloppy, awkward, and clumsy, Phoebe is quite the opposite as an elegant, classy, intelligent woman with her ducks in a row. Phoebe is prim and proper, and we love her for it. 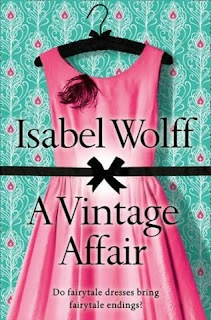 Having read Isabel Wolff's previous books, A Vintage Affair is proof that Wolff will continue to produce high-quality and FUN novels. I can't wait to read her next one!